Just a week to go until Adobe's annual creative conference – here are our Adobe MAX 2018 predictions. It’s rapidly approaching that time of year again where people start to get dressed up, go wandering around clutching goodie bags and looking for treats, then have a massive party. 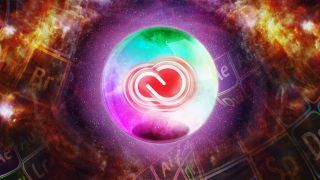 Of course, I’m talking about Adobe MAX 2018, probably the biggest event in the creative calendar, where the latest and greatest versions of the Creative Cloud apps are revealed. The mists that shroud Adobe's secrets are thick, so in order for us to predict what might be revealed at MAX 2018 we have to first look at past events. Two years ago in San Diego, Adobe CEO Shantanu Narayen unveiled Sensei, Adobe's AI (artificial intelligence) machine-learning and deep-learning technology framework, and promised that AI would amplify our creativity by accelerating content creation and removing or smoothing out the tedious tasks. Since then, AI-assisted features have popped up in a number of places – some obvious ('Select Subject' in Photoshop) and others that are a little more 'under the hood', but still make tasks easier (Essential Sound in Premiere). You don’t need to be clairvoyant to see that the development of Sensei is to continue in the next and subsequent releases, and this is a really good thing when we’re under pressure to create more, in less time. You will meet a tall, dark stranger that seems familiar but is also somehow different. They may well be standing in a field next to a pony or in a swimming pool somewhere, but they are trying to tell you of new Content-Aware Fill capabilities in Photoshop. Often we have heard shouts of 'Content Aware FAIL' (harsh) but those cries may well be silenced as the future holds a new menu item, dedicated workspace, masks and controls to tame the savage beast of pixel-patchery. Through the turbulent ether we see Illustrator, but it looks somehow changed – it’s the toolbar! A mystical power will be granted to users, who will be able to add and remove tools at will to suit their workflows. Also another revelation – or perhaps revolution would be a better word – will take place for those wanting to make gradients. We predict that new methods will surface that will open up new design possibilities. Such marvels to behold (and at any size, because they’re vectors). There’s more – how about importing marked-up PDFs and tracking feedback without having to leave InDesign? This will surely save time and frustration when working with colleagues and clients. The one-stop-design-prototyping-and-collaboration-shop looks set to get a new-look welcome screen. It will be slick and most importantly, visual. But the most jaw-dropping announcements will probably relate to the host of new plugins we predict will become available. I sense something at the back of the room... do you know of something called Google Sheets? You do? The message is hazy, but it seems to be to do with mapping XD elements to sheet content. Does that mean something to you? I bet it will. Responsive design? Have once again the ethereal wires of prophecy become twisted and entangled? Such terms are usually confined to the web industry, but today's multiscreen world demands more from us and we, in turn demand more from our applications. Soon, After Effects will deliver much-needed responsive design features. There's more coming besides, including depth-effects and new puppet tools, as well as new ways to work with data files. The tea leaves don’t lie. At first we thought they were showing us Project Puppetron again, a project that was revealed in the MAX Sneaks last year. But there’s something in the water that suggests more magic is coming to this incredible app. We see an image of Van Gogh telling us something about magnets and squashy physics. We're not sure what was in that tea?